Expedition 53 Commander Randy Bresnik and Flight Engineer Joe Acaba of NASA completed a 6 hour, 49 minute spacewalk at 2:36 p.m. EDT. The two astronauts installed a new camera system on the Canadarm2 robotic arm’s latching end effector, an HD camera on the starboard truss of the station and replaced a fuse on the Dextre robotic arm extension. The duo worked quickly and were able to complete several “get ahead” tasks. Acaba greased the new end effector on the robotic arm. Bresnik installed a new radiator grapple bar. Bresnik completed prep work for one of two spare pump modules on separate stowage platforms to enable easier access for potential robotic replacement tasks in the future. He nearly finished prep work on the second, but that work will be completed by future spacewalkers. This was the fifth spacewalk of Bresnik’s career (32 hours total spacewalking) and the third for Acaba (19 hours and 46 minutes total spacewalking). Space station crew members have conducted 205 spacewalks in support of assembly and maintenance of the orbiting laboratory. Spacewalkers have now spent a total of 53 days, 6 hours and 25 minutes working outside the station. tasks in the future space journeys, therefore we should prepare a suitable equipment, gear, machines etc to achieve our goals successfully. Best of luck to you! Stay determined in all that you do! Pay attention in school and do your best. Never give up! Congratulations to Astronauts for their BRAVELY Spacewalk. 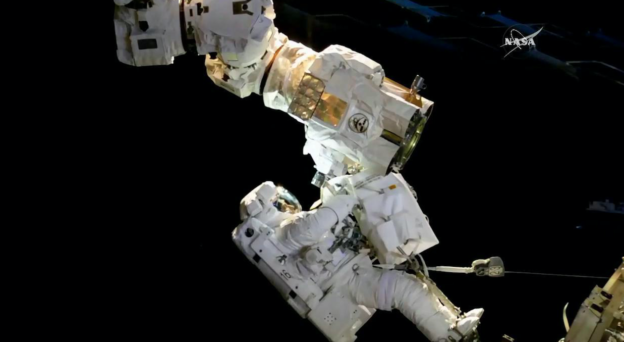 I interested to know for my knowledge, what are the risk associated in Spacewalk. For instance, it might be other objects also moving in space. 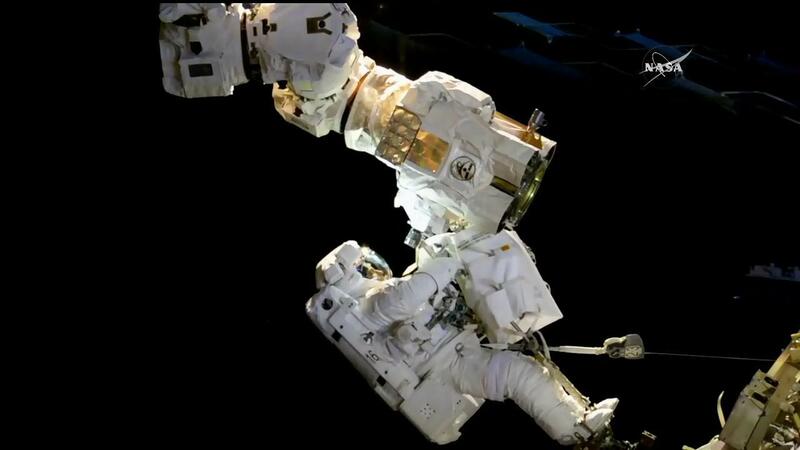 Always glad to see the spacewalks but somehow always very releived when they are safely ended. Whats casued the fuse to blow and the overcurrent condition? Astronauts periodically check their spacesuit gloves for tears and rips due to working with sharp gear outside the space station. Congratulations to Astronauts! Keep up the great work. It’ amazing, challenging and so inspiring! Si…estoy de acuerdo! El silencio y la paz del exterior, manifiesta lo q un día nuestra tierra será, contrario a lo q hoy grita por dentro. Gracias por compartir! Que impresionante de verdad. The land mass is central America seen in a very odd way with the wide-angle lens. We basically cross Mexico from southwest to northeast. The early part of the video is the Pacific coast in Mexico’s southwest (state of Jalisco), passing over the volcanoes near Lake Chapala (which appears in the middle of many of the frames), to the Gulf of Mexico near the end, at Brownsville, Texas. Congratulations on your successful mission. Stay safe and thank you for the amazing view. Cudos!